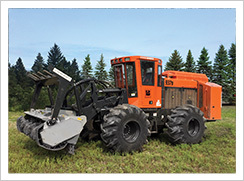 When it comes to land clearing, right-of-way maintenance and site prep work, Barko industrial tractors don’t just give you more power. 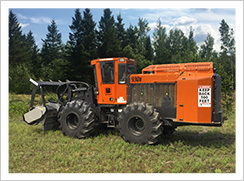 They give you more power exactly where you need it — no other product delivers nearly as much hydraulic horsepower to the attachment, allowing operators to effortlessly tear through some of the toughest jobs. 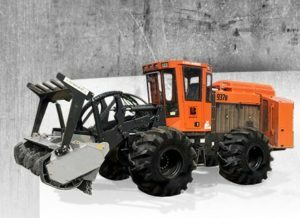 The 930B is highly maneuverable and built to withstand tough terrain, all while providing better fuel efficiency and increased productivity. Driven by a powerful 380-HP Tier 4 engine, the 937B offers exceptional strength and superior durability on the most demanding clearing and site prep jobs. 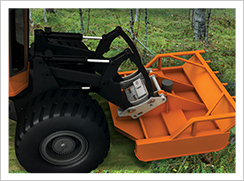 The Barko Quick Attach gives users the flexibility to quickly and easily change between industrial tractor attachments for varying job requirements.